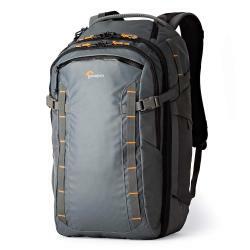 Traveling with packing organizers, backpacks & luggage from Lowepro makes your adventures even better. What type of gear do you carry? For over 50 years, Lowepro has focused on safely getting camera gear to all types of locations. Because of this, we look at travel from a very pragmatic view. It goes without saying that we think a lot about how to protect your equipment; however, we also spend a good deal of time thinking about how to make your experience better, more comfortable, more productive, and ultimately, more enjoyable. 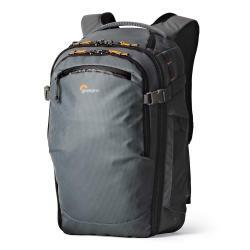 Today, Lowepro helps you carry, protect, organize and enjoy more types of equipment than ever. Look for the icons in our store to help you find bags designed for DSLR & mirrorless cameras, drones & quadcopters, tablets, laptops, action video cams and more. Each device and piece of equipment has its own pain points we strive to solve or fragile aspect we try to protect. Learn more about the innovative technologies we designed and built to support you and your digital world. The duration of your trip is often the first determiner of what you will need in a travel bag. While everyone has their own travel style, plus packing needs and comfort levels, generally trips can be classified by their length and what items you will need for the duration. Day travel & commute: Protection is focused on a small mobile device such as iPad or iPhone 6 Plus, critical personal item and small amount of gear. 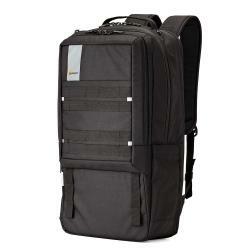 Be nimble, light and flexible: Examples: Urbex, Slingshot Edge, Passport Sling. Overnight & short trips: Choose a bag with additional room for a change of clothes or more personal items, a few extra devices, business tools, etc. Keep it light, but don't sacrifice. 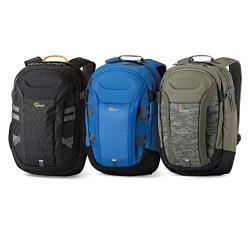 Examples: RidgeLine Pro 300 AW, Photo Hatchback Series, Fastpack Series. Multi-Day & trekking: Be prepared to pack multiple devices and their supporting accessories, batteries and cables, more than one bag (or a bag-in-a-bag), a larger amount of personal gear, and be prepared with the ability to handle several environments and situations. Take it with you… you'll probably need it. Examples: HighLine, Whistler, Pro Roller x-Series and Pro Trekker. Travel in the digital age means bringing your electronic devices and all their cables, connectors, batteries, chargers and accessories. Regardless of the type of bag or pack you travel with, organizing and protecting all the small parts and tools can be made much easier with GearUp organizers & packing cases. The GearUp Case Large electronics and travel organizer offers next level protection for headphones, cameras and device accessories. 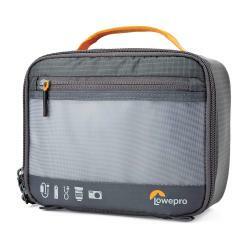 Removable Organizer Panel with dual padded pockets plus elastic keeper strap provides more secure storage capacity. Perfect for travel and commute! Streamlined, portable organizer for your smartphone travel essentials. 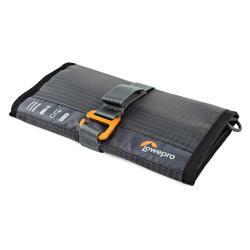 The GearUp Wrap features pockets and elastic web grid perfect for storing cords, cables, USB chargers and battery. The GearUp Camera Box is the perfect portable solution to protect your mirrorless camera kit and accessories. Flexible interior panels adjust to secure mirrorless cameras like Sony a-6500 plus additional lens with interior and exterior pockets for cords, cables and accessories. Carry alone or inside larger bags! What environments will you encounter? When considering environmental factors, take into account both the destination you are traveling to as well as the environments you travel THROUGH in order to get you and your gear to your destination. At the end of the day, you may be staying at a hotel or lodge, but that lodge may be at the top of a mountain tram ride following a day of air travel and shuttle buses! 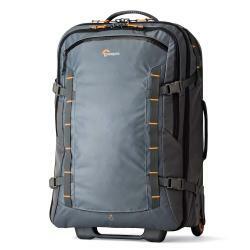 How can Lowepro help? Here are a few considerations for where you are traveling and options. Choose a bag with an All Weather AW Cover™ to protect from rain, snow, sand and dirt. Click here for all backpacks with our built-in weather covers. Traveling by air? Choose a bag that you know is travel friendly and carry-on compatible. Check out our carry-on compatible backpacks and carry-on compatible rollers. Choose a bag that is multipurpose and converts depending on what you need for the day. 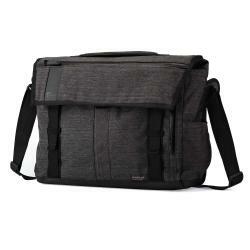 The Photo Hatchback and the Urbex Series are both great multipurpose bags. Consider a bag-in-a-bag solution. Often you just need a lightweight bag to carry around once you get to your location. 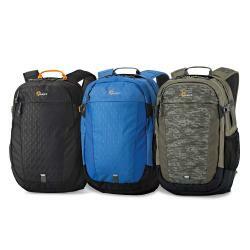 Choose a GearUp organizer, pack a Passport Sling or a toploading camera bag for these scenarios. Going to extreme environments? Make sure your bag can handle the challenge. DryZone delivers the ultimate in waterproof protection; Whistler is both highly abrasion, crush and water resistant for harsh conditions. What is your preferred carry style? The type of carry may ultimately be the most important choice for many travelers. So much so that many will begin their search by selecting the type of bag they feel most comfortable with. 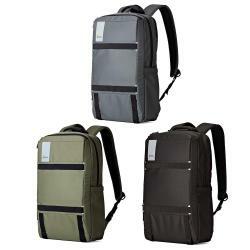 Backpacks: Often the most comfortable way to carry as they distribute weight evenly on your shoulders, back and hips. Check out our Guide to Backpacks. 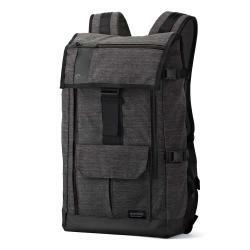 Shoulder/Messenger Bags: From a small messenger to a larger and more traditional photo bag, shoulder bags are a great choice for a lighter carry, or when moving through a cramped environment. Check out our Guide to Messenger Bags. Sling Bags: Sling-style bags provide fast access without taking the bag off your body. Some slings are totally purpose-built like the Slingshot Edge, while others are more like messengers worn across the body, such as the StreetLine SL 140. Check out our Guide to Sling Bags. Rolling Luggage and Cases: When you need to move heavy gear over a distance, there is no substitute for the convenience of a roller. Check out our Guide to Rolling Cases. The Combo: For serious, long-duration travel, a backpack and roller combination can't be beat. For the ultimate adventure + photo combo, try the Whistler BP 450 AW paired with a HighLine RL x400 AW. 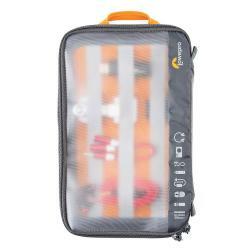 Add a GearUp Case to make any travel bag more organized. Other Options: Whether you need a small case for your GoPro®, or compact camera bag to pack into your suitcase, find the method that feels the most comfortable to you with one of these styles. 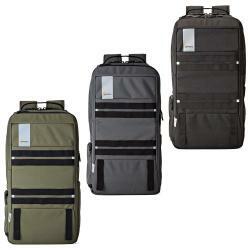 Toploading Camera Bags, Duffles, Beltpacks and Device Pouches. Below are 4 bag series dedicated to the modern traveler. 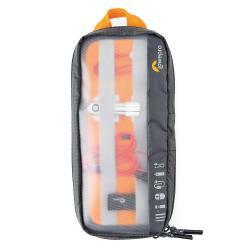 These high-quality, dependable bags bring Lowepro's legendary protection and organization to your everyday personal belongings and devices, no matter the environment or the conditions. 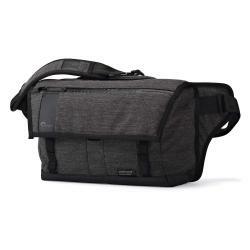 StreetLine 180 is a sophisticated, everyday, messenger-style shoulder bag offering a slim, protective and efficient way to move with your 13'' laptop, tablet and personal gear through urban streets and on public transit. 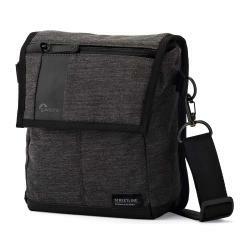 StreetLine 140 is a sophisticated, everyday sling bag offering a slim, protective and efficient way to move with your 11'' laptop, tablet and personal gear through urban streets and on public transit. StreetLine 120 is a sophisticated, everyday bag offering a slim, protective and efficient way to move with your mini tablet and personal gear through urban streets and on public transit.